Please note that this current website does not have a shopping cart. 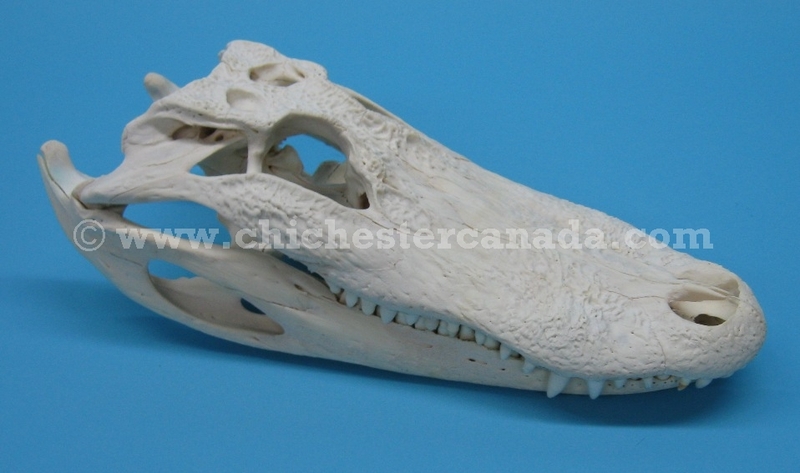 To buy our Alligator Skulls online, please go to our e-commerce website at NaturalExotics.ca. We usually have a limited number of professionally cleaned alligator skulls for sale at any time. American alligators in the wild are protected under the U.S. Endangered Species Act. Our alligator skulls come from licensed hunts to reduce the number of wild alligators.